Mystery shopping is a little-known way to make a great side income. If you aren’t familiar with the job of a mystery shopper, don’t worry. We are here to help you learn about a great way to make some extra money, and maybe create a new part-time job for yourself! First off, you might be wondering what a mystery shopper does. Basically, big companies need a way to make sure their operations are running smoothly, and they can’t rely on using their own people to check-in on their stores. Companies need people that aren’t directly connected to their operations to do inspections. This is where you, as a mystery shopper, enter the picture. There are numerous agencies out there that source mystery shoppers for their corporate clients. You will have to apply to these sourcing agencies, and pass some basic tests to qualify as a mystery shopper. Once you are accepted you can take mystery shopping assignments and start making money, as well as earning free merchandise. Don’t worry, it isn’t hard to qualify! 2 What Kind of Mystery Shopping Opportunities are There? 4 How Much Can I Make as a Mystery Shopper? 5 Mystery Shopping Agencies: Get to Work! There are many different ways to be a mystery shopper. In some cases, you will have to go to a popular store and buy a specific item. In other cases, you will be asked to go to a shop or restaurant to make an inspection of the premises. For many years mystery shopping paid very well, and some people even made a career out of it. Today the stakes are a bit lower, but there are still some great mystery shopping gigs to be had. One area of mystery shopping that may appeal to younger people, or those on a tight budget, is mystery eating. Instead of having to pay for a nice meal, a mystery shopping agency will either pay you to eat at a restaurant or reimburse you for your time and money spent. Some agencies pay better than others, and you will have to evaluate which pay structure works best for your lifestyle and financial situation. Most larger retail businesses employ some sort of mystery shopping program. If you see a chain of retail stores or restaurants, chances are they are using mystery shoppers. Every business will have unique needs, or areas they want to be evaluated. There are numerous retail stores that need mystery shoppers to check on how the store looks, and how well the displays are being kept up. Not only will the retail store employ mystery shoppers to inspect the location, companies that pay supermarkets for specific product exposure will send out mystery shoppers to make sure they are getting what they pay for. In some cases, a mystery shopper will be asked to go to specific locations and buy items from a retailer. In others, mystery shoppers will go to a few different locations from the same store, and check on how the staff treats customers. The image that a brand projects is very important, which is why the corporate office needs to ensure that their locations or franchises are operating within specifications that have been established. Want to get paid to eat good food? Being a mystery eater could be a good side hustle. There are numerous chain restaurants that need to make sure that their clients are getting quality food and service, and will pay you to go out and eat at their restaurants. In some cases, you can actually get paid to eat, and in others, your meal will be paid for. One thing to be aware of is that sometimes mystery eating agencies will offer you a fixed amount of money to eat at a restaurant, and it may not be enough to cover the cost of the meal. You will almost certainly have to spend time after the meal reviewing the food and experience, so keep that in mind when accepting an offer. This might sound funny, but supply chain management is extremely difficult for big retail companies. Computerized systems aren’t good at tracking individual items in a store, which is one of the reasons why mystery shoppers are needed. In most cases, a mystery shopper who fits a specific profile (ex: female between the ages of 40-60 years old) will be tasked with shopping for a unique item at a given location. The goal is to make sure that stock from the warehouse is actually reaching the shop floor, and can be found by the consumer that it is aimed at. These sorts of assignments tend to pay more than regular mystery shopping gigs, because it is relatively difficult for mystery shopping agencies to find very specific people in a given geographic location. The rise of online and telephone shopping has created the need for mystery shoppers who can test how well these systems work. The idea is basically the same as any other kind of mystery shopping, but you can work from home. Many times telephone ‘mystery shoppers’ won’t have to buy anything at all. The companies just want you to call up specified locations, and ask questions that are supplied to you. Sometimes you can just record the calls, and send them to the agency that hired you. These jobs tend to pay a little less, but they are super easy to do, and you could probably make up for the lower pay by doing more gigs. You also don’t need to own a vehicle! If any of these jobs sound good to you, there are a few things you will need to consider before getting started. First off, it is very important to understand the specific agreement you are making with the mystery shopping agency you choose to work with. It is a good idea to start with one or two agencies and get a feel for the business. What kinds of reports will I have to make? Will I need to provide photographs of my experience? How will the mystery shopping assignments be described to me? Am I paid up front, or reimbursed later on? How Much Can I Make as a Mystery Shopper? There is no set rate for mystery shopping, and in recent years the pay has fallen off a bit. In fact, some mystery shopping gigs will only offer you free merchandise in exchange for your time. It pays to shop around before you decide which agency to work with, and there are numerous mystery shopping agencies to choose from. When it comes to getting paid as a mystery shopper, location also matters. There are no shortage of people who live in urban areas who are willing to pop around the corner for a few minutes if it means a new pair of jeans at zero cost or a free pizza. Sometimes you can still earn between £10 and £20 for your time, but those kinds of opportunities aren’t as common as they once were. For mystery shoppers in outlying areas, the potential for bigger earnings is much better. Lower population density means that mystery shopping agencies have to pay more for their shoppers, especially if they need a niche product or service evaluated. Mystery shoppers in outlying areas can also ask for travel expenses, as there aren’t going to be nearly as many people for the agencies to choose from. Mystery Shopping Agencies: Get to Work! There are many mystery shopping agencies to choose from. If you are a first-time mystery shopper, start with a few, and get a feel for what is involved in the job. Building up a good reputation as a mystery shopper will help you grab better gigs, and maybe some extra pay. Every agency will have its own application process. You will have to provide some personal information, as well as payment details. 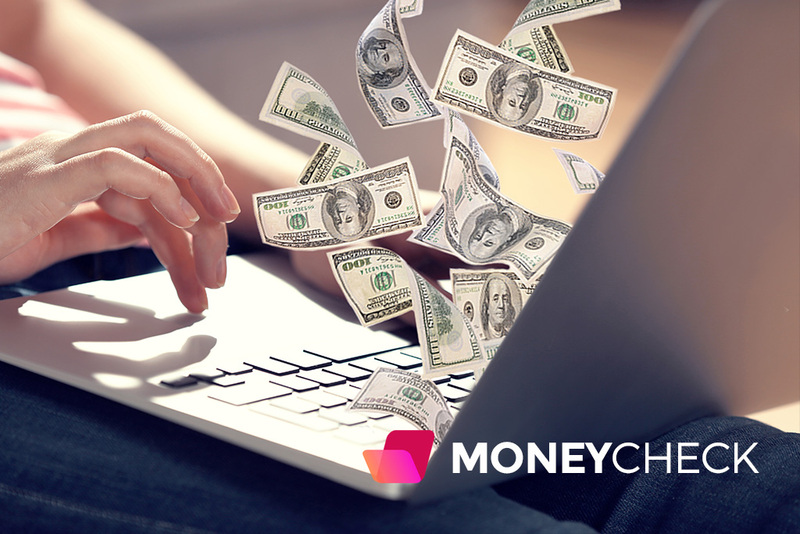 Some agencies use online payment providers like PayPal, and others will pay via bank transfer. A word of warning, never pay to apply to a mystery shopping agency. Any ‘company’ that asks for money up front isn’t worth dealing with, and they could just be looking to scam you. Market Force is the new name of Retail Eyes. Whatever you want to call it, the site has become one of the most popular mystery shopper sites in the UK. It claims to have more than 250,000 mystery shoppers and offers a wide range of shopping assignments. While Market Force is probably one of the biggest mystery shopping agencies in the UK, they have a lackluster reputation when it comes to taking care of their shoppers. The company does have an app that will help you find gigs in your area, and they are a reputable firm. As one of the biggest market research firms in the world, Ipsos has a tremendous number of mystery shopper opportunities available all over the UK. Unlike some of the other firms on this list, Ipsos has mystery shopping gigs in both urban areas, and smaller towns as well. Registration with Ipsos is also less time intensive than some of the other mystery shopping agencies. On the flip side, Ipsos will require you to fill out detailed shopping reports, which might be a turn off to some potential mystery shoppers. Mystery Dining by HGEM isn’t exactly mystery shopping, but it could be very interesting to people who want to hone their culinary critiquing skills. Instead of making a profit, mystery diners will be given money to cover dinners at restaurants chosen by HGEM. In exchange, mystery diners will have to write a very detailed review of their experience. There is also a very strict selection process, which might be a turn off to some potential mystery diners. However, HGEM does need diners to go to very upscale restaurants, which is a pretty sweet deal for the right mystery diner. Clickworker isn’t really a mystery shopping agency, but they are close enough to make the list. Home to numerous odd research jobs (among others) that can be done locally, Clickworker has jobs for people that want to go to local stores and take pictures of store shelves or other displays. In some ways, Clickworker is better than mystery shopping, as there is no money involved. All you have to do is take a picture at a given store and upload it. It also operates in numerous markets across a few continents, so the site is worth checking out. There really isn’t much of a downside to using Clickworker, except the jobs rarely pay more than £10 (though some do). They only pay in Euros via PayPal or bank transfer, which is worth keeping in mind. Working with GBW might not be for everyone. It tends to deal with fast food restaurants, specifically McDonald’s. For those of you that don’t know, McDonald’s is obsessed with consistency and making sure franchisees are obeying the rules that McDonald’s creates for them. As a GBW mystery shopper/diner, you will probably be sent to McDonald’s to inspect how the restaurant is doing. In fact, you may be sent to the same McDonald’s to monitor any changes in the quality of food or service. This seems like a pretty niche gig, but it could be great for someone that loves McDonald’s! Retail Maxim is a very successful mystery shopping agency, which is both a good and bad thing. The positive side is that it delivers loads of good mystery shopping gigs to its subscribers. Retail Maxim is so popular with its subscribers that it can be hard to get to the jobs in time. Part of the reason why it may be so popular is because it sends out checks in advance to cover the shopping trips, and their rate of pay is very fair as well. This might not be the only mystery shopping agency to apply for, but if you want to keep on top of its postings, it could make a good asset in your side hustle portfolio. Tern Consultancy has a wide range of mystery shopping gigs, but they also offer specialty gigs in audio/video shopping. As a result of this high-tech focus, Tern pays very well. While they don’t have a standard rate of pay, Tern is worth looking at if you know something about electronics or video gear and fancy a side hustle as a mystery shopper. Unfortunately, Tern has earned a reputation for being slack in how they treat their mystery shoppers. Its high rate of pay and specialty focus could give them a bit of leeway, as they really don’t have a rival in the mystery shopper agency space. If you want to work with a company that lets you decide when you work with zero pressure, Grassroots is the agency for you. Once you are in their system, you can check their site whenever you like, and take the gigs you want. No hassles, no pressure. Grassroots also pays well and has a variety of assignments for its members. The only real downside to Grassroots is its limited scope. It concentrates its efforts in major cities in the UK, so if you live in a smaller town, it might not be worth your effort. International Service Check is a fashion-focused mystery shopping agency. It has numerous major apparel companies as clients, so if you love shopping for clothing, it is a great place to apply. On the plus side, you will probably get to go shopping at some of your favorite stores. The pay is also good, with the base rate for a mystery shopping assignment starting at £12. In fact, the rate for specialty shoppers from a unique demographic can receive much higher pay. On the negative side, its website isn’t the best, and the assignments can be quite involved. A big part of the assignments can involve talking to staff at retail locations, and finding very specific items. Being a mystery shopper probably isn’t going to be enough to support yourself. The work isn’t always going to be reliable, and there are more people looking for ways to integrate a side hustle into their life. The good news is that you can make some money as a mystery shopper, and save money on everyday goods and services. If you have a small business that gives you free time during the week, signing up to be a mystery shopper could be a good move. There are numerous opportunities for people who have extra hours and like to review how businesses operate. You can also learn a lot about how a corporation evaluates its business by becoming a mystery shopper, which is a skill that is transferrable to other jobs. Being a mystery shopper could also be a great fit for people who work in the entertainment industry, and don’t have steady work. Instead of working as waitstaff, aspiring actors and actresses could hone their craft by pretending to be real customers at local businesses. It is important to decide what you need to get out of your mystery shopper side hustle before you start. Some people may just want to cut down on their food budget by getting free meals a few times a week at local restaurants. Other people might love the idea of eating at the same fast food chain over and over again. It all depends on what you want to do. Be sure to do a cost analysis of what your mystery shopping gigs are actually costing you. Free merchandise is a great thing, but it may not be free once all the costs are added into the equation. If you begin to clear thousands of pounds in actual pay, don’t forget to pay your taxes either. Being a mystery shopper is technically a small business in the UK. It isn’t a bad idea to figure out how much of your time goes into the mystery shopping process, so you know what you are making on an hourly basis. 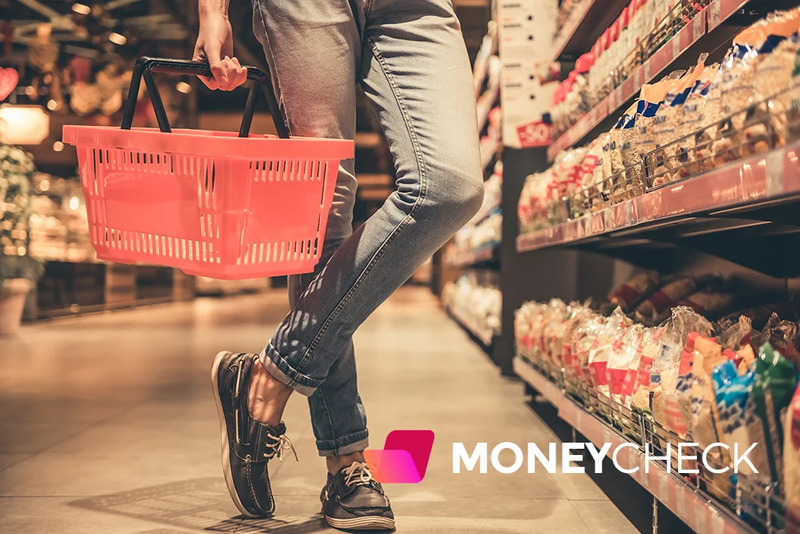 You might be surprised by how much you are making, or you could learn that mystery shopping is a lot of work for a little bit of money. If you aren’t able to qualify for one of the sites listed above, don’t despair. There are many great mystery shopping agencies out there, and you will probably find your niche. After you gain experience with one mystery shopping agency, it should be much easier to transfer your skills to another one if you want to!